Singer/songwriter Christina Milian has recently recorded new material with Polow Da Don for her upcoming fourth studio album. The super producer – born Jamal Jones – is known for collaborating with the likes of Chris Brown (“Forever”), Fergie (“London Bridge”), Nicole Scherzinger (“Whatever U Like”) and Usher (“Love in this Club”). He also confirmed placements on the next projects by Mario [RCA Records], Beyonce [Columbia Records], Keri Hilson [Interscope Records], Nikki Williams [Island Records] and Lauriana Mae [Atlantic Records]. Meanwhile, the new collection by Milian serves as the follow-up to 2006’s “So Amazin,” which debuted at number 11 on the US Billboard 200 Albums Chart. For the still-untitled LP, the “Baggage Claim” star has also teamed up with Kevin “She’kspere” Briggs (Whitney Houston, Mariah Carey), Carsten “Soulshock” Schack (Monica, Keyshia Cole) and Young Yonny (Maejor Ali, Justin Bieber). Watch the music video for previous single “Dip it Low” below. R&B songstress Keyshia Cole has added songwriter Ursula Yancey to the list of contributors for her upcoming sixth studio album. Some of Yancy’s notable credits include the likes of Rihanna (“Skin”), Kristinia Debarge (“Somebody”) and Tamar Braxton (“White Candle”). She also contributed to the next albums by Mario [RCA Records], Jennifer Lopez [Capitol Records], Christina Milian [Young Money Records], Estelle [New London Records], Daisha [Epic Records] and MPrynt [Motown Records]. Other musicians backing Cole on the highly-anticipated project are Elijah Blake (Ciara, James Arthur), Mike WiLL Made It (Brandy, Jamie Foxx), Nayvadius “Future” Wilburn (Shakira, Miley Cyrus), Kevin “She’kspere” Briggs (Mariah Carey, Whitney Houston) and Mario Winans (Tamia, Faith Evans). Watch the music video for previous single “I Should Have Cheated” below. 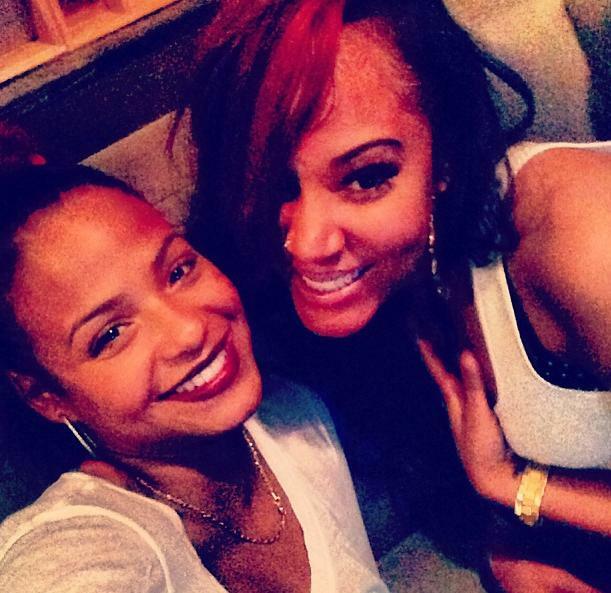 Singer/songwriter Christina Milian has reunited with Lyrica Anderson for her upcoming fourth studio album, out soon via Cash Money Records. The pair previously teamed up on the unofficially released “Paint Me Pink,” produced by Eric Hudson (Mary J. Blige, Keyshia Cole). Anderson has also penned songs including “Pyramid” by Charice [Warner Bros. Records], “All Night Long” by Demi Lovato [Hollywood Records] and “XOX” by Elijah Blake featuring Common [Island Def Jam Recordings]. Meanwhile, the new collection by Milian serves as the follow-up to 2006’s “So Amazing.” That release – which was executively produced by Cool & Dre – delivered songwriting contributions from Shaffer “Ne-Yo” Smith (Kelly Rowland, LeToya Luckett) and Jazmine Sullivan (Candice Glover, Fantasia Barrino). Other songwriters and producers the “Dip it Low” star collaborated with on the still-untitled project are Carsten “Soulshock” Schack (Leona Lewis, Nicole Scherzinger) and Kevin “She’kspere” Briggs (Mariah Carey, Whitney Houston). Watch the video for previous single “Us Against the World” below. 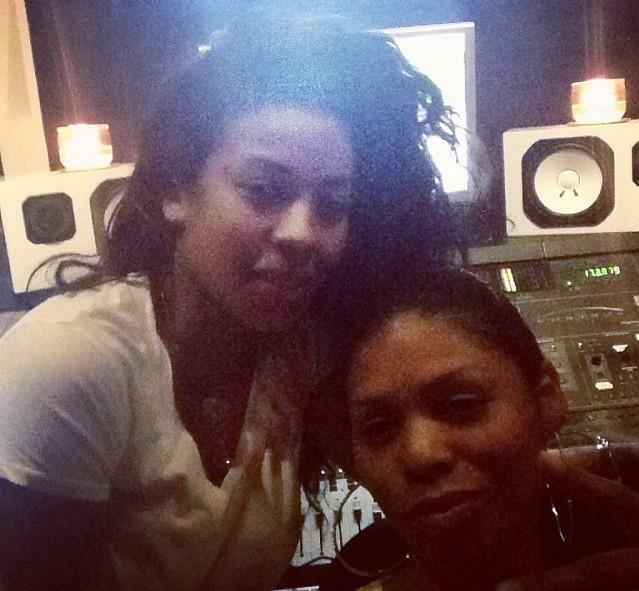 The track was co-written by Makeba Riddick (Cassie, Tamar Braxton) and produced by Terry “MaddScientist” Thomas (Mario Barrett, Jesse McCartney). Singer/songwriter Christina Milian has tapped the production services of Kevin Briggs for her upcoming fourth as-yet-untitled studio album, out soon via Young Money / Cash Money Records. The super producer – better known as She‘kspere – is responsible for hit singles “No Scrubs” by TLC [Arista Records], “Bills, Bill, Bills” by Destiny’s Child [Columbia Records] and “There You Go” by Pink [RCA Records]. His other credits include “Don’t Think I’m Not” by Kandi [Columbia Records], “One of Those Days” by Whitney Houston [Arista Records], “How You Gonna Tell Me” by Mya [Interscope Records], “Pop Ya Collar” by Usher [LaFace Records] and “X-Girlfriend” by Mariah Carey [Columbia Records].